In an expert conference on September 14th on the topic of “Antigypsyist sentiment and state film funding,” Romani Rose – Chair of the Central Council of German Sinti and Roma – repeated his appeal to Südwestrundfunk (SWR) not to show the children’s film Nellys Abenteuer, and not to include the film in the program of KIKA (children’s channel), the joint program of ARD and ZDF. In the view of the Central Council of German Sinti and Roma, the movie contains serious antigypsyist clichés and stereotypes which make it entirely unsuited for its target child audience. The pedagogical age recommendation indicates the movie is suitable for children nine years and up, and for third-grade students. 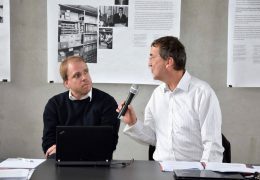 During the conference, the Central Council of German Sinti and Roma presented an expert review by Pavel Brunßen, Technische Universität Berlin, upon which this declaration was based. “Roma are portrayed as different and foreign throughout Nellys Abenteuer. This is the conceptual basis of the film. It attempts to create a sharp contrast between the more ‘rationally’ thinking Germans and the ‘freedom-loving’ Roma. The Roma’s activities and characteristics in the movie follow antigypsyist tropes. According to such tropes, Roma appear in the movie as small-time criminals, con artists, beggars, as doing ’traditional’ dances, as kidnappers of children, etc. No Roma are shown in any other living situation, such as in ’regular’ professions or as students. […] However, the image of a criminal, uncivilized, undisciplined, and instinct-driven Roma people with no morals remains. Against this background, the fact that the movie is shown on television and in cinema, as well as considered educational material for children and young people, this should be considered critically. The movie’s stereotypical representations are echoed in the associated educational materials and provoke generalizing and essentializing views of Roma people.” (page 19). During the expert presentations, several participants clearly indicated that Nellys Abenteuer does generate and reproduce antigypsyist prejudice. Markus End, Chair of the Gesellschaft für Antiziganismusforschung (Society for the Research of Antigypsyism) explained that because current media reporting consistently associates the image of Sinti and Roma with criminality based on their origins, this produces a distorted image that makes the movie’s viewers disposed to accept and confirm such stereotypes. Participants in the conference agreed that the ethics of making movies with or about Sinti and Roma need to be discussed, at film universities, academies, and institutions providing film subsidies as well. It could be a good impetus for such institutions to add an ethics officer to their juries. This would not represent a restriction of artistic freedom; instead, institutions funding such films should be expected to create, protect, and adhere to ethical standards that protect the dignity of minorities. 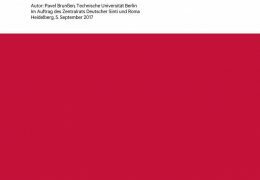 The Central Council of German Sinti and Roma believes that its critiques of the film and of German film subsidies in general have largely been confirmed by the conference. It is incomprehensible that such a film could make it through the granting institution’s committees without its reproduction of stereotypes being noticed. Romani Rose hypothesizes that a similar film about anti-Semitic stereotypes and attitudes in the context of a trip to Israel would be immediately rejected by any jury. The movie Nellys Abenteuer was financed with over 930,000 euros from tax revenues. After holding a discussion in early September 2017 with the program director at Südwestrundfunks (SWR), Dr. Christoph Hauser, and representatives from the production company and MFG Filmförderung Baden Württemberg about Nellys Abenteuer without coming to any consensus at all, the Chair of the Central Council of German Sinti and Roma, Romani Rose, renewed his appeal to no longer show this movie on publicly financed television channels. “It is completely unimaginable that a movie with such antigypsyist content is first subsidized using tax money, then shown on publicly financed television as a children’s program in Germany,” Romani Rose declared. Because of this, the Central Council of German Sinti and Roma will submit an official complaint to the SWR, their directors, the broadcasting counsel, and programming officials at KIKA, a children’s channel run jointly by ARD and ZDF.